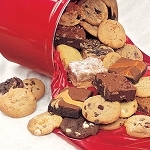 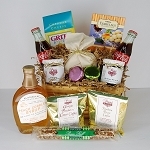 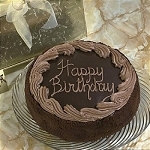 Try two pounds of yummy gourmet cookies and take your taste buds on an exciting adventure. 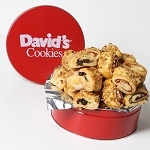 We've got lots of delicious flavors included in this pack: Chocolate Chunk, Peanut Butter, Oatmeal Raisin, Macadamia White Chip, Cherry, and Double Chocolate Chunk. 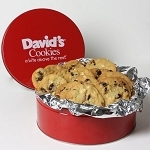 Our product tastes home-made and fresh like mama made, comes in a collectable David's Cookies tin and is shipped free. 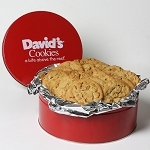 **Please note the Macadamia Cookies include Coconut** Approximately 24, 1.5 oz cookies 2 lb red tin Fresh baked with no preservatives. 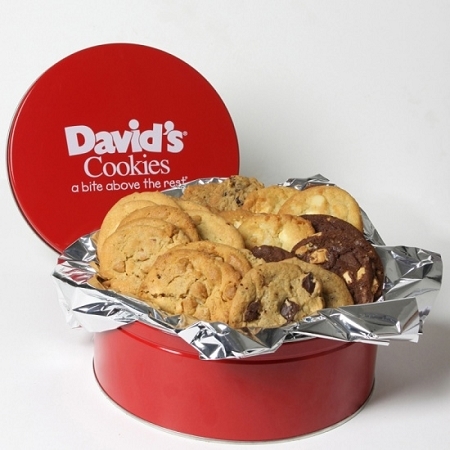 Must be shipped 2 Day.